Naveen Patnaik has proved some of the epithets to describe him – reluctant inheritor, slap happy elite, nebbish scion, political greenhorn – grossly erroneous. In a historic first for Odisha, he won the fourth consecutive term as chief minister in May 2014, displaying political astuteness sharper than most seasoned politicians. History is replete with strategies similar to what Patnaik has employed to maintain his ascendancy. Yet, each time he has stumped us with his political gamesmanship. The youngest son of veteran politician and former Odisha chief minister Biju Patnaik, ‘Pappu’ – as Naveen is called by family and his Delhi circle of friends – and his father are as different as chalk and cheese. Though Biju Patnaik named his residence Naveen Niwas, the difficult relationship between the father and the son was a definitive part of the political folklore of Odisha. The strained relationship was particularly apparent when he breathed his last on April 17, 1997 in the house of former union minister Dilip Ray instead of his own home in Delhi’s Aurangzeb Road, which he had not visited in the last 20 years of his life. Patnaik was known to be close to his mother, Gyan Patnaik, a Punjabi whom Biju-babu, as he is called in Odisha, first saw when she was playing a game of tennis, and also his sister, Gita Mehta, writer and wife of renowned publisher Sonny Mehta. Patnaik senior symbolised Odia masculinity and was a true son of the soil. Odias don’t tire discussing his charm on women and his true, as well as some imagined, heroic deeds. Through his passion of flying, Biju babu saved British families from the Japanese during the second world war, flied supplies to China and Soviet Union, ferried leaders to secret meetings during the Quit India movement, carried soldiers into Kashmir in the first war with Pakistan and, most famously, saved two rebels from the Dutch during Sukarno’s independence movement. This gave wide publicity to the Indonesian independence movement and Jawaharlal Nehru was reluctantly forced to support Sukarno’s cause. Biju-babu never tired of telling people how he persuaded Sukarno to name his daughter Megawati, daughter of the clouds. His daredevilry brought him to the notice of Nehru and other national leaders who sent him on many missions, including to the US, to appeal for aid when India was threatened by China. Contrast this image with Naveen Patnaik’s personality – a classmate of Sanjay Gandhi in Doon School, Patnaik barely knew Odisha, except perhaps as a vacation home. Inclined towards the arts, he was a painter and author of three coffee-table books: A Second Paradise (on Indian courtly life from 1590 to 1947), A Desert Kingdom (on the Rajputs of Bikaner), and The Garden of Life (on the healing plants of India). His influential brother-in-law, Sonny, who has published the likes of Gabriel Garcia Marquez and is the Knopf editor-in-chief, settled in Manhattan, introduced Patnaik to the cognoscenti. He had a boutique – Psychedelhi – in the 1960s in the Oberoi hotel whose clientele included the Beatles. His friendship with Jacqueline Onassis and Mick Jagger was particularly famous. Onassis has edited Patnaik’s last two books. The Aurangzeb Road house of Biju Patnaik, where his son and wife lived till 1997, is rumoured to have hosted several world-famous visitors. Between the wine and the socialising in the US, UK and Delhi, Odisha had but a tenuous connection with Naveen. Journalists who accompanied Naveen Patnaik during his first campaigns would narrate stories of his naivete on village life. He would step on night soil – for which Aska, Patnaik’s home constituency, is particularly famous – and would not know what it is. A reliable source who was instrumental in drafting an appeal to Janata Dal workers to support the newly-formed Biju Janata Dal (BJD) said that he tried making Patnaik sign his name in Odia for two days but failed. Ultimately, someone else had to sign for him with his left hand. To quote Patnaik’s sister Gita Mehta, the extraordinary thing about inventing a persona is that one is loathe to give it up, especially if the fiction sits comfortably. Interestingly, the very fact that Patnaik was not “one of them” established a perception that he is a cut above the rest, disinterested in getting his hands murky, as is typical of Indian politicians. He is not after the money because he has seen it all. After 14 years, Patnaik’s Odia speeches are still written in the English script – he enunciates Odia in an accent that might put a non-resident Indian to shame. Contrary to media portrayals, Naveen Patnaik is not the reluctant politician that he is made out to be. According to people who were once close to him, he wanted to become a deputy minister in the IK Gujral government in the centre. After his father’s death in 1997, a crisis ensued on the survival of the Janata Dal, a party of non-Congress forces that Biju Patnaik had helped form after he was thrown out of the Congress by Indira Gandhi. Patnaik’s political career began with his election to the 11th Lok Sabha in 1997 in a by-poll from Aska, his father’s traditional seat, on a Janata Dal ticket. This was followed by a re-election the following year, and a third election in 1999 (when he became cabinet minister in the Atal Bihari Vajpayee government) and finally moving to state politics and taking over as chief minister in 2000. Though there was a United Front government at the centre in 1997, of which Janata Dal was a part, there were apprehensions about how long the front would last. The only option was to form a regional party. Thus was formed the BJD, with Biju Patnaik’s name to garner votes. It was Bijay Mahapatra and Dilip Ray, among others, who formed the party. Both have been thrown out of the party by Patnaik since. Since BJP was a rising power at the time, BJD formed a coalition with BJP. The resource constraint of BJD was tided over by the late Pramod Mahajan. Owing to a combination of anti-incumbency against the Congress, terrible mismanagement of the 1999 super-cyclone by the Congress government of Giridhar Gamang and huge sympathy wave for Naveen Patnaik, he became the chief minister and was to change the face of Odisha politics forever. 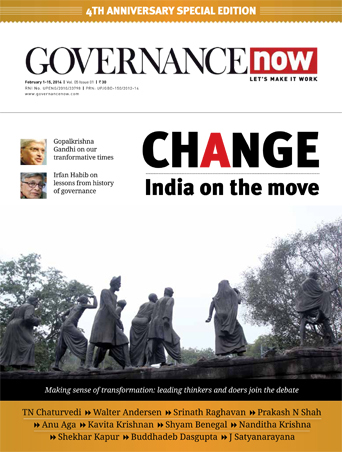 There are several factors – some serendipitous and some strategic – that have helped Patnaik rule practically unchallenged for almost a decade and a half. Following his mother’s advice, Patnaik, for the first nine years of his political life, depended solely on Pyarimohan Mohapatra – called “uncle” by Patnaik – who was an administrative service officer closely associated with Biju Patnaik and his family. Mohapatra, who was well-versed with Odisha politics, steered Patnaik away from all political pitfalls, firmly establishing his stature as the tallest leader in the state and mentoring him so thoroughly that it was to devour his own career later. Notwithstanding the fact that the party had come to power only through the NDA route, Mohapatra effectively demolished the BJP even when it was in an alliance with BJD, eating away into its bases. During the seat-sharing talks, Mohapatra made sure that BJD had more winnable seats. He was said to be the prime strategist during the 2004 and 2009 elections, making Patnaik master the strategy of unpredictable politics. It is believed that Mohapatra was responsible for the sacking of 26 ministers on account of financial misdemeanor. This, coupled with the fact that he has “no need” to be corrupt – Naveen is unmarried and hence without heir – established his image as a squeakyclean leader in public perception. Mohapatra also made sure leaders were kept on tenterhooks with sudden denial of tickets or ministerial berths at the last moment. 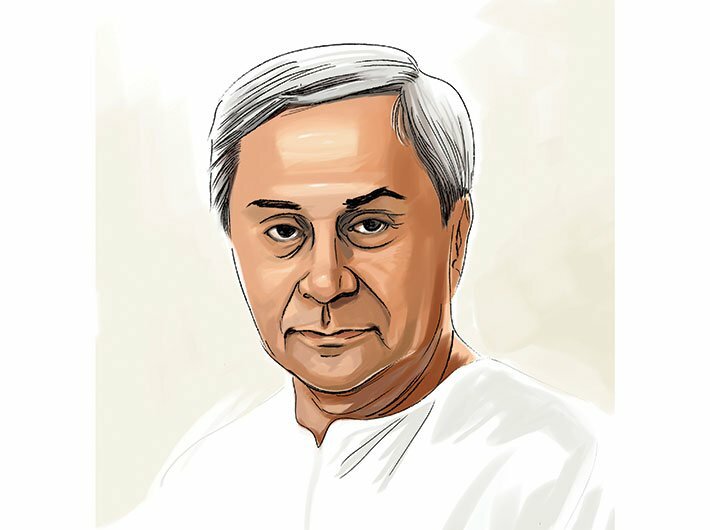 This has since become a signature style of the Patnaik form of governance. Even in the 2014 Lok Sabha elections many powerful politicians, like Prafulla Ghadei, were denied ticket (it was instead given to his son), which led Ghadei giving an explosive interview in September to an Odia daily, calling Naveen “mentally and physically dull”. Ghadei was subsequently ousted without even a show-cause notice. As with individuals, Mohapatra treated alliances much the same way. He attracted BJP workers from its strongholds – Keonjhar, Sundargarh, Deogarh, Nabarangpur, Sonepur, Angul, Dhenkanal, etc – into the BJD fold. 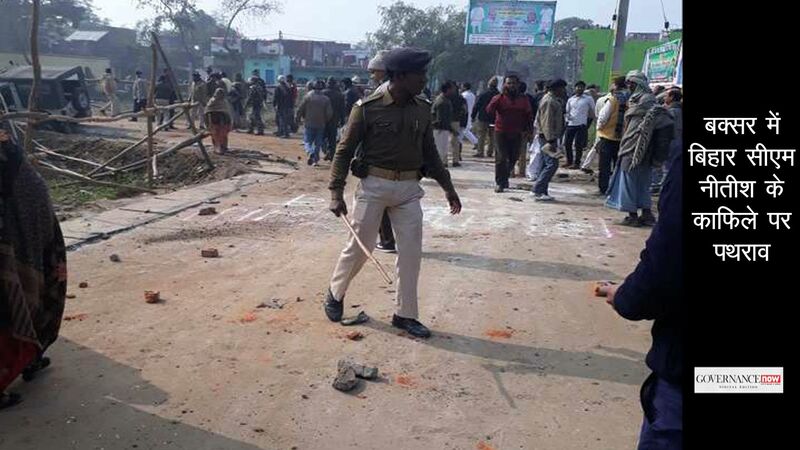 Having consolidated the embankments of BJD, the party broke off its alliance with BJP citing the 2008 Kandhamal riots. The BJP was left gasping for breath. Winning the elections with any substantial number has proved to be an elusive grail for the saffron party since then. Fortuitously for the CM, the public attributed the bad decisions to Pyari Mohapatra and the wiser ones to Patnaik, thus enhancing his non-corruptible image further. At the same time, the duo ensured that no leader could potentially prove to be a threat. It is widely perceived that Patnaik is a firm believer in vindictive politics. Jaws dropped when he removed Bijay Mohapatra, one of the founders of BJD and the number 2 in Biju Patnaik cabinet in the 1990s, during the scrutiny of his nomination papers for 2000 assembly elections. Bijay Mohapatra was a Devil’s Boswell for Naveen Patnaik. The sudden decision effectively ensured that Mohapatra stays out of the rung for a long time. He formed the Odisha Gana Parishad (OGP) and later joined the BJP. However, he has not been able to regain his political weight in the state. Dilip Ray was also dropped from the Vajpayee cabinet 13 years ago, apparently at the behest of Patnaik. Ray eventually joined BJP and won the Rajya Sabha polls in 2002, and the recent assembly elections from Rourkela. If 2009 proved that BJD could do without BJP, 2012 proved that Naveen could do without Pyarimohan Mohapatra. The decision to remove the latter from the party reconfigured his naïve image, raising the question whether Patnaik proved too clever even for Mohapatra. A strong anti-Pyari lobby and the fact that Mohapatra was getting too powerful for Patnaik’s comfort made him go alone in the panchayat elections. During Patnaik’s official visit to the UK in May 2012, a coup was launched, led by Mohapatra, to dethrone him. On his return, the CM swung into action, swiftly dropping three of his cabinet colleagues, suspending two MLAs and eventually suspending Pyari Mohapatra, thus ending a 12-year partnership. The there-is-no-alternative (TINA) factor strongly benefits the Naveen Patnaik regime. The Congress ruled Odisha from 1947 till 2000, except for brief stints by the Janata Dal and some other regional parties. The Gandhi family and the assassination of Indira Gandhi were major factors for the state Congress coming to power. A sizeable chunk of its stint under JB Patnaik, the former CM of Odisha and at present governor of Assam, unleashed massive corruption. Such is the fear around JB, as he is popularly known, that tales of his misgovernance and misdeeds have acquired mythical status. Apart from the severe image crisis, the Congress has committed a series of strategic mistakes. It has flip-flopped time and again in deciding its state leadership and sometimes acting queasy just before the elections. Sonia Gandhi, after removing JB Patnaik, opened the fray for infighting. For instance, in 2004, Jayadev Jena was brought in as the Odisha Pradesh Congress Committee (OPCC) president, only to be replaced by KP Singh Deo in 2009. Surprisingly, however, Singh Deo was denied a Lok Sabha seat from Dhenkanal in 2014. There are now murmurs that he would join the BJP. Political observers argue that the Congress (read Sonia Gandhi) has been unable to make a discerning assessment of the situation in Odisha. The BJP, though in a coalition with BJD for eight years, has dug its own grave in the state. It has practically no workers on the ground in Odisha, after Pyarimohan Mohapatra enticed most BJP workers to join BJD before pulling the rug from under the party’s feet. Coupled with that, there is minimal minority politics for BJP to back on. The Congress still gives a tough competition to BJD on the Christian and the dalit votes, whereas the BJD has support across sections, particularly among women and tribals. A systematic attrition of the opposition space has ensured that Patnaik rules practically without opposition. The RSS has made some inroads in tribal-dominated areas, especially Kandhamal, where Laxmanananda Saraswati was killed, by establishing one-teacher schools called Ekal Vidyalaya and in Puri on the motif of vegetarianism around the Jagannath temple. Though several BJP national leaders are making quick trips to the state, its presence is bleak at the moment. Also, his emphasis on women’s self-help groups (SHGs) has enhanced his reputation as a protector of the vulnerable. Before elections, candidates are instructed to give part of the election fund to SHGs. Apart from that, the Re1-per-kg-for-rice scheme and the Mo Kudiya scheme have been runaway hits with the poor. The state has also come a long way economically since its days of bankruptcy in 2000. In these years the face of state capital Bhubaneswar has changed dramatically – wide roads, high-rises, expensive cars from the coal business, a state-of-the-art airport. It is definitely one of the better tier-II cities. The Naveen Patnaik government has been hit by some major scams in recent times. A central empowered committee (CEC), appointed by the supreme court to probe the Odisha mining scam, has held the state government responsible for alleged illegal mining to the tune of '17,576 crore between 2000 and 2011. The state-owned Odisha Mining Corporation (OMC) has been held as a major violator by the CEC. The ongoing CBI probe into the bilking multi-thousand crore chit fund companies also directly threatens Patnaik’s unique selling point – his clean image. The central economic intelligence bureau (CEIB) under the ministry of finance had informed the Odisha government in 2011 about illegal schemes by companies such as Seashore Securities Limited and the Artha Tatwa group. Subsequently, all requests for action against the scam by RBI, CEIB and the home department were not only unheeded but top political leaders, including the CM, have been seen attending the events of these tainted companies. The scam seems to have deep roots. Alok Jena, whose PIL in supreme court led to the unearthing of these scams, says, “Despite RBI and the centre’s letters to clamp down on these companies, the Naveen Patnaik government sat on these scams, involving many of his bureaucrats, ministers and several others.” Public opinion is gradually being affected since BJD, which reportedly spends lavishly in elections, is seen as having links with these fraudulent companies. The chief minister, who is rumoured to be keeping poor health, has always been more dependent on bureaucrats than his ministers. However, given his flippant affection towards his coterie, supporters within the party might be depleting fast. There are talks of a rift between him and Baijayant Panda, a prominent party MP from Kendrapara. At present, Naveen Patnaik reportedly relies only on the ‘KPPP’ group –Rajya Sabha MP Kalpataru Das, the chief minister’s private secretary Karthikeyan Pandian, Prabhakaran and Puri MP Pinaki Mishra. There are rumblings that he is moulding his nephew, Barun Patnaik, the CM’s elder brotherPrem Patnaik’s son, to take over after him for which he has extended an olive branch to Pyari Mahapatra.